Change to be able to edit the registration data from the ranking display. 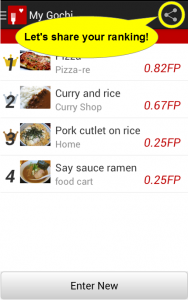 Change the image display method of ranking display. MyGochi is your favorite food sorting tool. 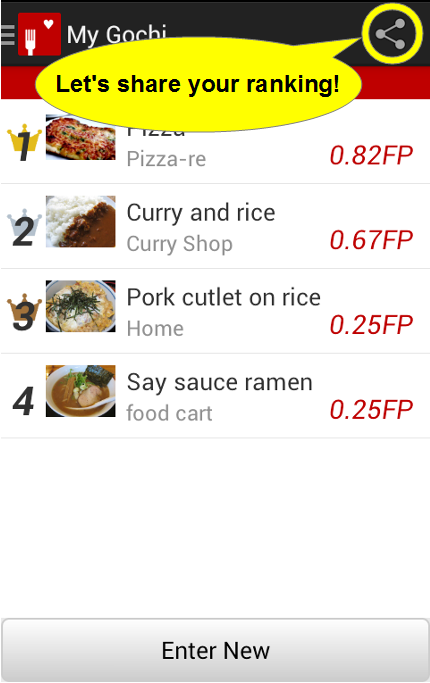 Calculates the FP (favorite point) of the menu that you have registered, to be displayed in the ranking format. Test screen is displayed when you start the MyGochi app. 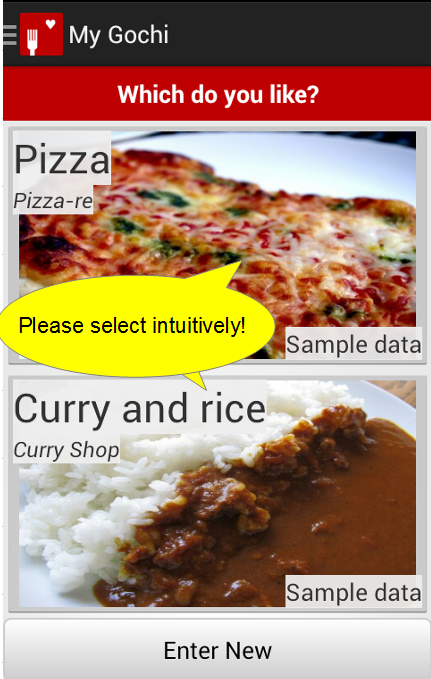 Please select one that likes intuitively from two menus are displayed on the screen. Rankings will appear in the test several times is over. Let’s share button at the top right ranking. You can also see where in the GoogleMap If you click on the rankings. Sample data will contain the beginning, please try. #Test screen is no longer displayed test of all registration menu is complete. #Register menu is not immediately reflected in the rankings.It is reflected by testing. #Location information is used only within the app. #Network access is only used for bug reports and advertising andw Web viewing.